A summer full of flowers! 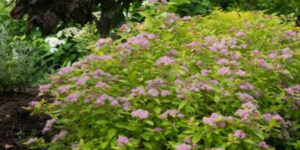 This summer, wouldn’t you love to step outside into your garden and be greeted by shrubs full of flowers? 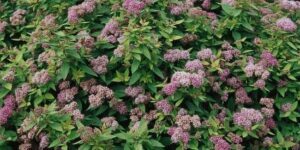 And wouldn’t it be great if you didn’t have to prune those shrubs, or coddle those shrubs or even think about those shrubs at all, just enjoy them? (Now we’ve got your attention!) 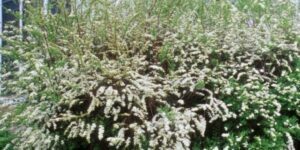 Well, Superstar Spirea (Spiraea x bumalda ‘ Denistar’ P P22,432) is that plant! 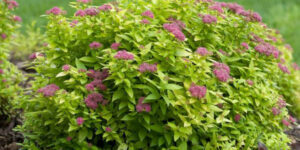 Not only is it beautiful and easy but it fits the current trend of smaller plants for smaller gardens. (Not to worry if you are blessed with a larger garden! Superstar looks great in big beds and borders and is a fantastic foundation plant. It definitely plays well with others.
) 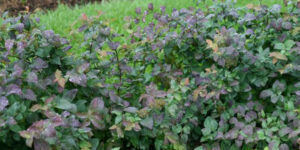 This compact plant starts the spring with deep green foliage overall. Then as new growth emerges it is an eye-catching scarlet red. The two-toned effect is stunning! As it starts to warm up, Superstar is just getting started. Clusters of apple-pink blossoms cover the plant all summer long. The show doesn’t stop when the flowers fade, though. 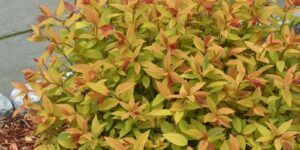 In the fall the leaves turn an excellent golden-bronze that lights up your borders. 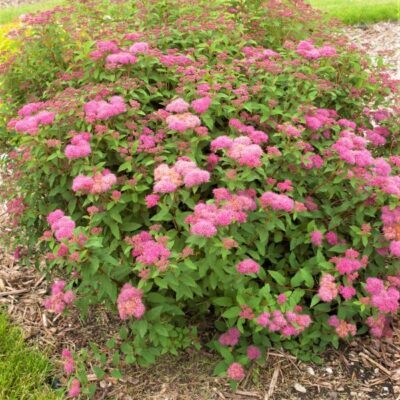 In true superstar fashion Superstar Spirea is showy and memorable. But unlike many superstars, Superstar isn’t a diva. 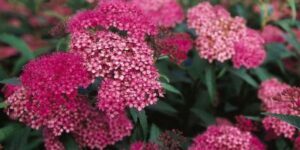 She’ll stay a compact 3 feet tall and wide and fit just about any sunny spot you have for her, even a large container. 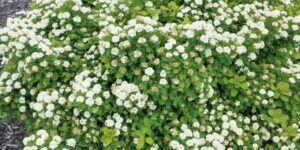 Order Superstar Spirea now and step out into the beautiful carefree garden you’ve always wanted!